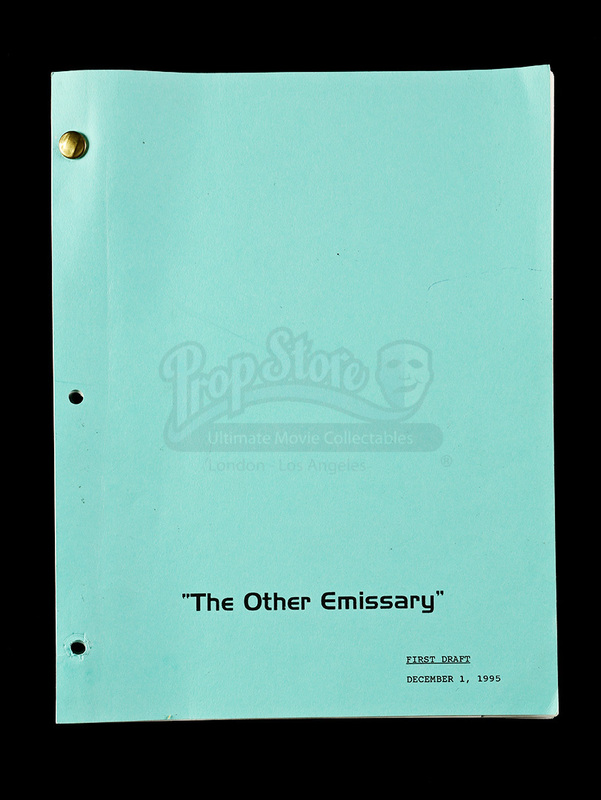 A "The Other Emissary" first draft script used during the filming of the fourteenth episode of the fourth season of Star Trek: Deep Space Nine. 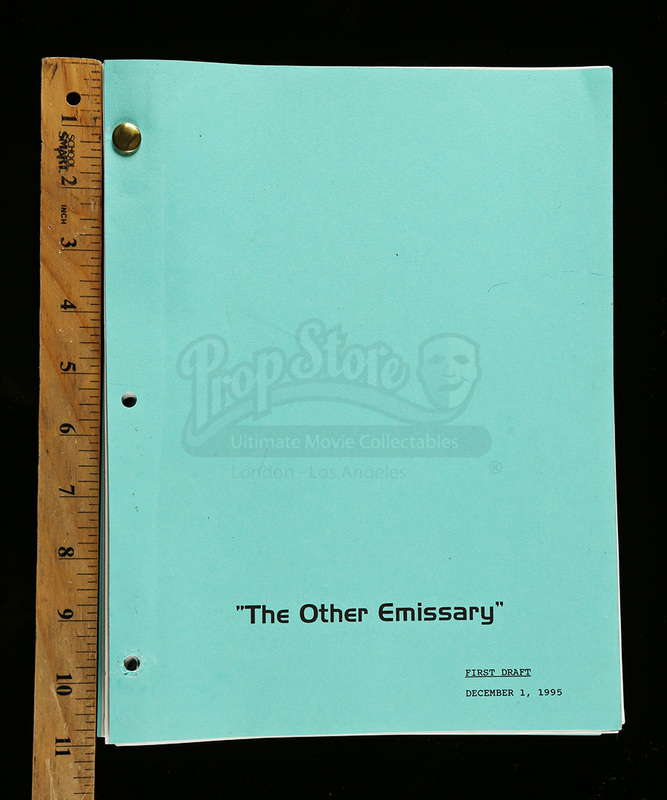 In the episode, later titled "Accession," a Bajoran poet appears from a wormhole and convinces Sisko (Avery Brooks) that he is the true emissary. 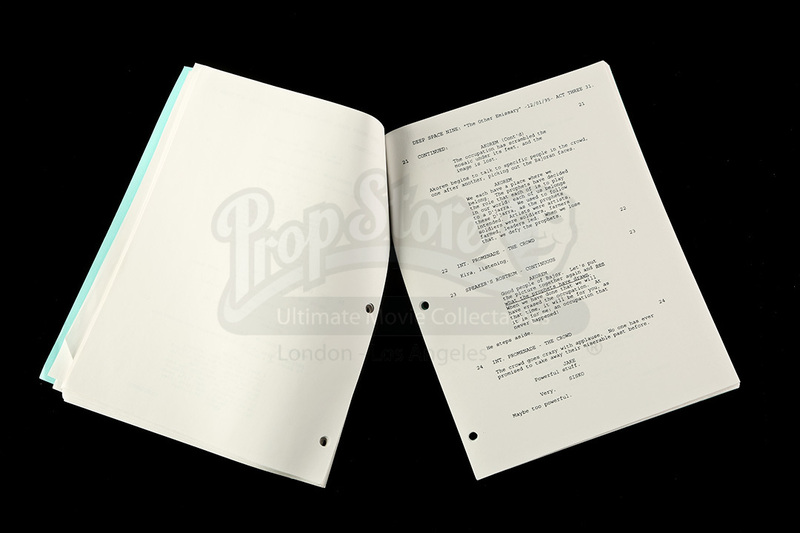 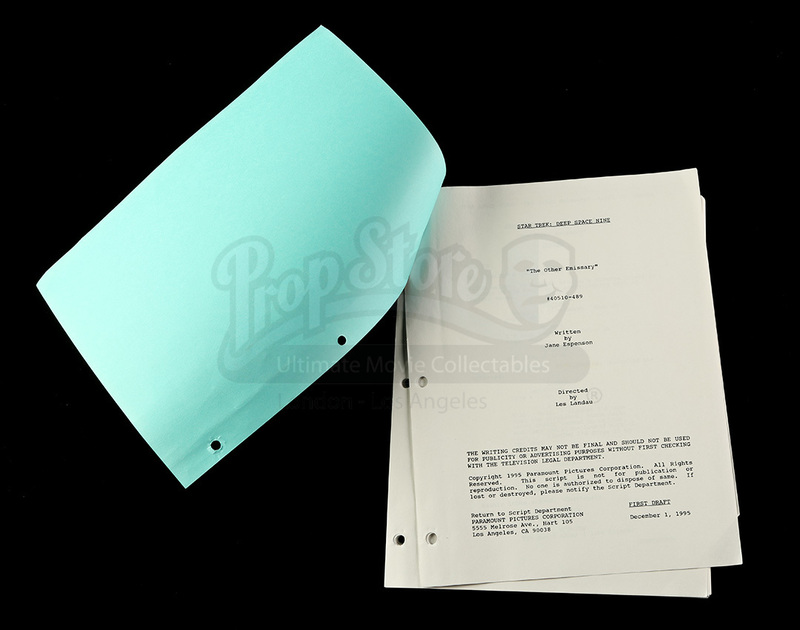 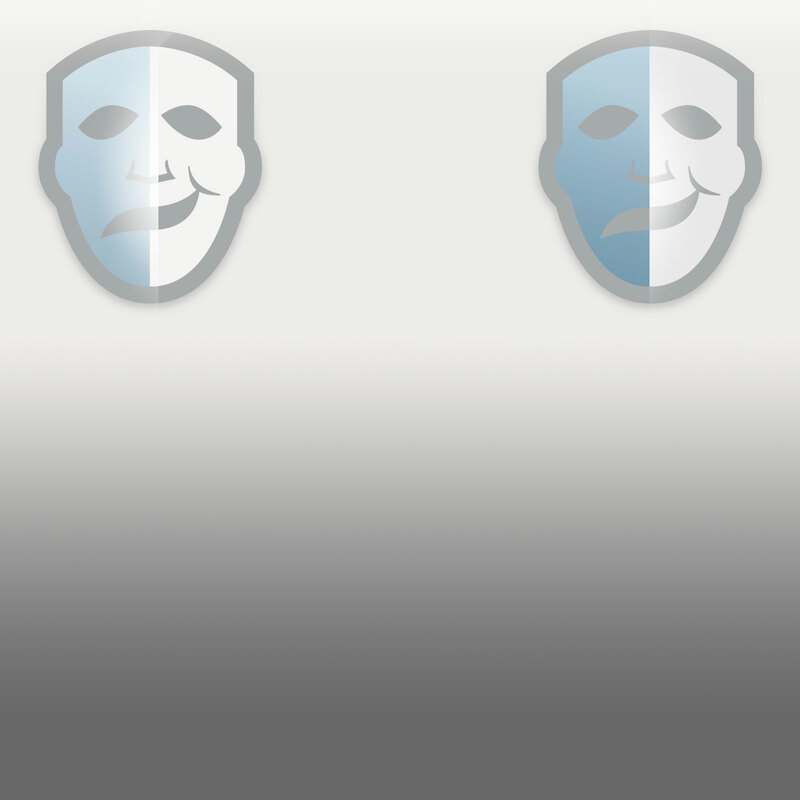 This script includes 57 pages of dialogue printed on white paper with the front and back cover made from blue cardstock. 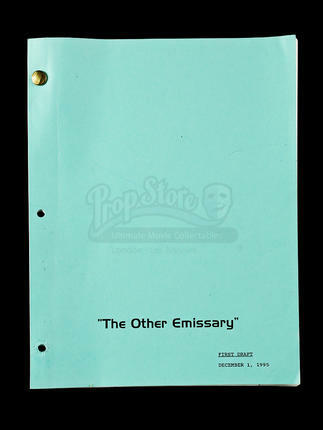 The cover features the title of the episode along with the date of the version, "December 1, 1995". 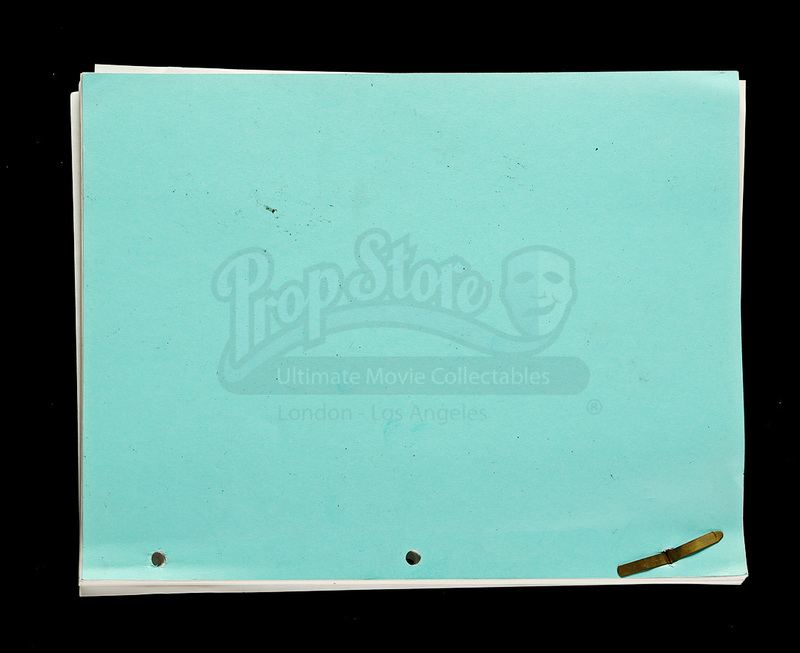 This three-hole punched script is bound with one brass colored brad at the top, and remains in good production used condition.